In a new article in Contemporary Security Policy, Alexander Lanoszka provides a new conceptual framework to study how allies can entrap the United States in their conflicts. He argues that the Trump administration is actually attuned to those entrapment risks. When Donald J. Trump became U.S. President in January 2017, many observers feared that he would abandon U.S. deterrence and defense measures in Europe in favor of rapprochement with Russia. After all, during his campaign he strongly criticized fellow members of the North Atlantic Treaty Organization as having suckered the United States into shouldering their defense burdens and even bearing the risk of their foreign policies. Yet almost one year into office the Trump administration has seen Montenegro join NATO, signaled strong support to Poland, contemplated selling lethal arms to Ukraine, and even approved of Georgia’s stance in its territorial disputes with Russia. Foreign policy experts might be forgiven for thinking that Trump plays fast and loose with the so-called alliance dilemma. This alliance dilemma arises when a defender calibrates its security commitments to its ally. If the ally is confident that the defender will rescue it, then that ally might take undesirable risks. The defender thus worries of entrapment—that is, of being dragged into unwanted wars. However, if that ally doubts that it can truly rely on its defender in a future crisis, then it fears abandonment. Whereas Trump generated abandonment fears as presidential candidate, his actions as president might be seen as being blind to entrapment risks. Are they really so blind, though? In a new Contemporary Security Policy article, I argue that international relations scholars have postulated different accounts of what shapes entrapment risks, often advancing theoretically incomplete arguments and contradictory policy prescriptions when taken together. Moreover, scholars often have overlooked how an underlying conflict makes both alliance formation and war more likely, making it empirically difficult to tease out an underlying entrapment risk from confounding factors. Leaders might even discount entrapment risks in pursuing their international strategies. Four factors allegedly drive entrapment risks. One is institutional: by giving carte blanche to an ally, the defender emboldens that ally to adopt a risky foreign policy that raises the likelihood of water. Another is systemic: the number of major powers in the international system (i.e. system polarity) and whether attacking is easier than defending. If attack is easy and at least three great powers exist, then entrapment is likely because the defender will see the ally as necessary for maintaining a favorable balance of power. The third factor is reputation. An ally might believe that it will receive the support of a defender eager to preserve its commitments just for the sake of appearing reliable. The final factor is transnational ideological. In the case of NATO, the alliance evolved from securing members against the Soviet threat to defending liberal democratic values. Accordingly, states that appeal to those values can maximize their likelihood in gaining support from that alliance, especially if they can also leverage elite networks. Some critics argue that Georgia tailored its institutions to extract U.S. and NATO support in the years leading up to the August 2008 war with Russia. Indeed, those critics contend that Georgian leaders came to believe that alliance support was forthcoming even though their country failed in its application for the Membership Action Plan (MAP) earlier that same year. Their confidence made Georgian leaders more aggressive towards Russia than what was rationally justifiable, thereby creating the danger for that local conflict to spiral out of control. These four accounts are compelling, but they do not square with other observations about international politics and even imply contradictory policy prescriptions. States can use institutional mechanisms—such as treaty precision and conditionality—to attenuate entrapment risks. Yet systemic drivers leave states powerless to formulate policies that would minimize entrapment risks. Moreover, defenders also wish to have reputations for not being reckless with their alliance commitments. Arguments emphasizing transnational ideological networks need to explain why a pro-ally lobby should succeed in influencing the foreign policy of a defender over other competing interests. Indeed, in the Georgian case, such arguments need to explain why Georgia succeeded in eliciting support from the United States, Poland, and the Baltic countries but not from Western European allies. They also need to explain why Georgia still felt emboldened to behave aggressively towards Russia despite its rejected MAP application. Perhaps Georgian leaders like then President Mikheil Saakashvili were prone to misperceptions, hot-headedness, and other decision-making biases that would have raised the likelihood of war even in the absence of NATO. What do these observations mean for comprehending Trump’s policy towards Europe and Russia? One take-away is that the Trump administration is not only attuned to entrapment risks, but even accepts them so as to place further pressure on Russia. By having allies become stronger vis-à-vis Russia, the Trump administration may believe that it is enhancing deterrence. Indeed, many of the accounts of entrapment described above overlook a basic analytical issue—that is, conflict drives both alliance formation and the war. More conflict means a great acceptance of alliance entanglements and higher likelihood of war breaking out. The Trump administration may not want war with Russia, but it nevertheless believes that peace is best achieved through strength. 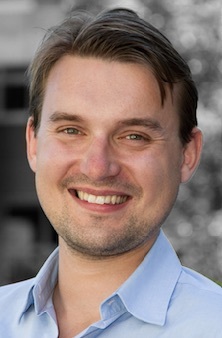 Alexander Lanoszka is lecturer in the Department of International Politics at City, University of London. His new Contemporary Security Policy article may be accessed here. For more on his research, please visit his website at www.alexlanoszka.com. You may also follow him on Twitter.